54" F.R. No-See-Um Mesh - Charcoal is a slightly tighter woven mesh than our regular fiberglass mosquito netting and is designed to control small insects- gnats, no-see-ums and small mosquitoes. 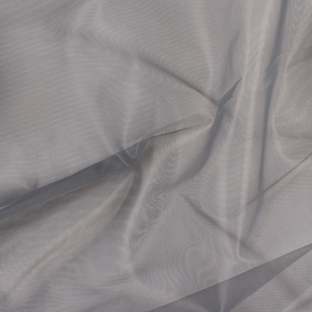 While it is a tighter mesh, this screen still allows good ventilation and visibility. It also provides some daytime privacy by limiting the interior view. Burst Test: (ISTROM) 40 PSI Minimum. Fire Retartancy: CPAI-84 (Tent Wall). NFPA701. Q: What is the 'Threads per inch' Number? The thread count is 28 threads per inch. You would cut this with scissors. Q: Is it like a camping tent moskito screen ? Q: Can you easily see out through this if it is used to cover a window? Or is it so fine that it blocks the view? You can easily see through this mesh. Q: Hey can you wash this fabric? Wanting to use it on a car seat cover. This mesh will never last long as a seat cover fabric.